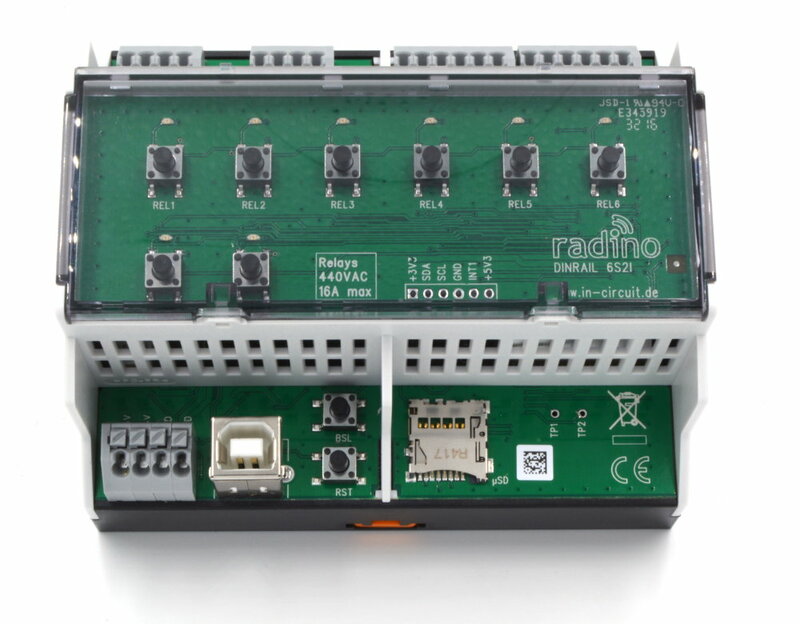 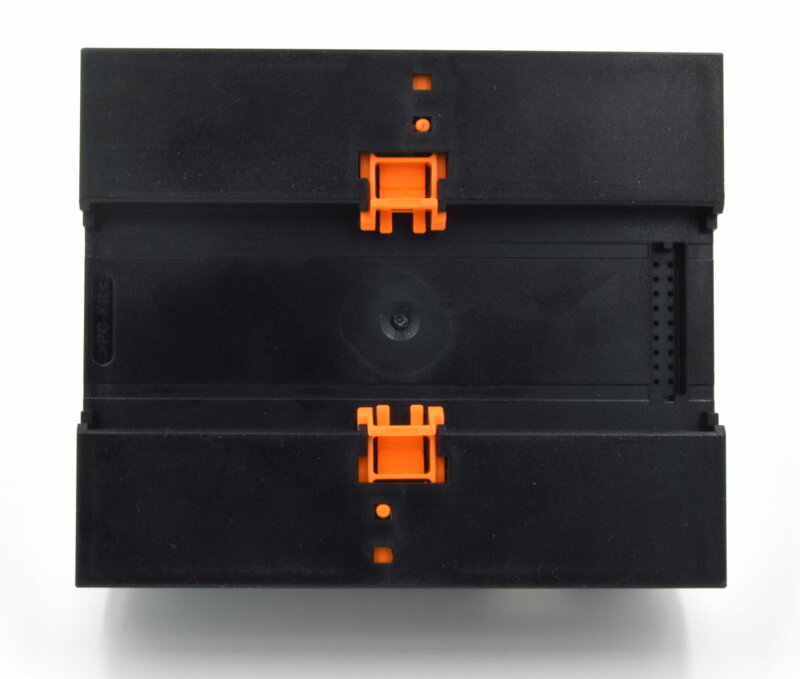 The radino DIN rail module 6S2I offers 6x relay high power outputs (440VAC/16A) and 2 digital inputs. 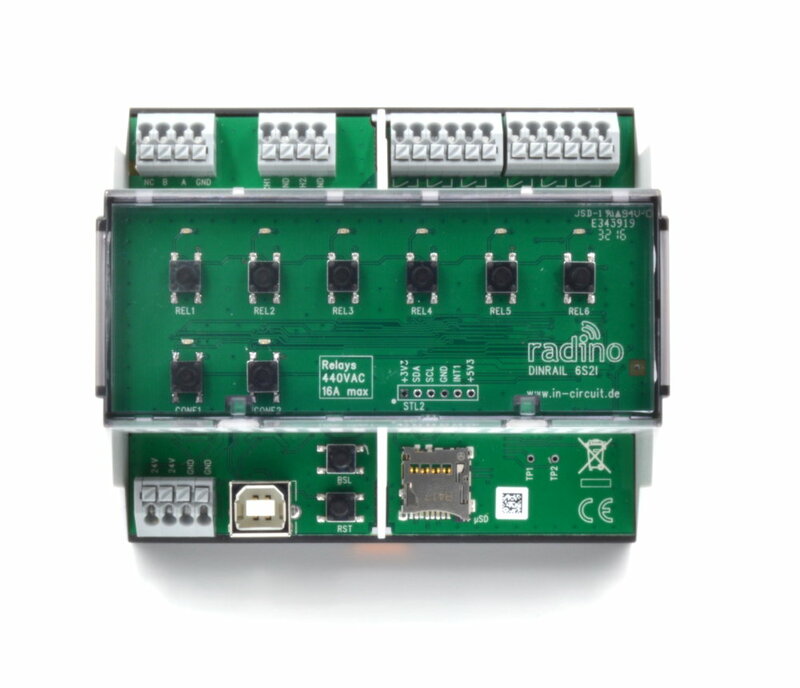 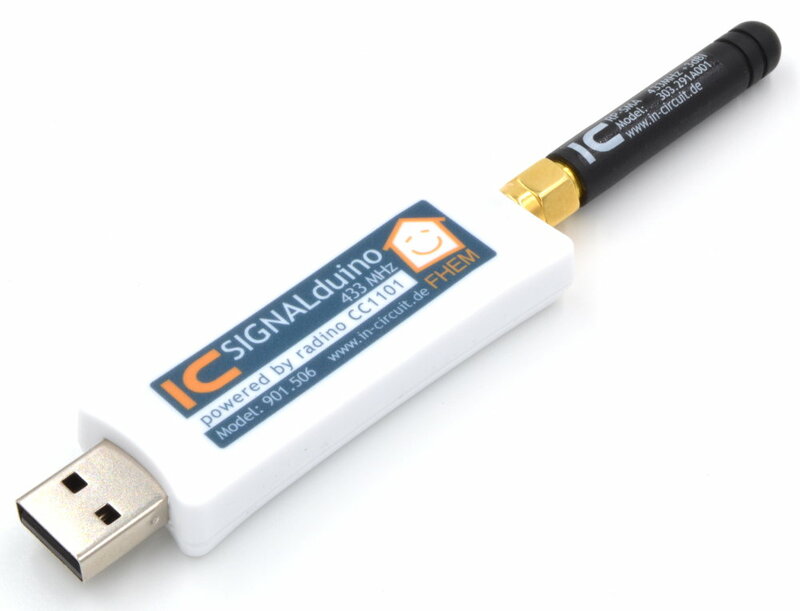 For each relay there is a suitable LED and a button to control Relais manually for testing of Relay connection. 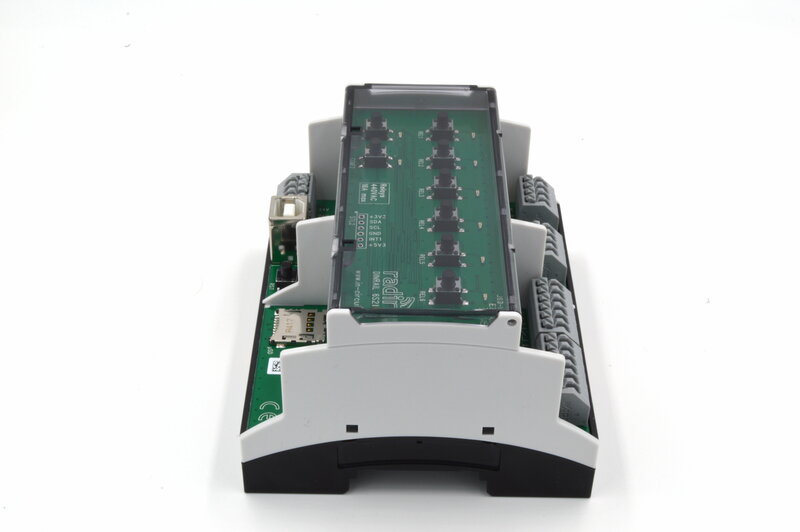 We deliver the module with a demo-software that just reads the buttons and switches the LEDs and relays.